In the heritage of the finest of American and European progressive rock and metal, California's 7 Months delivers their first full-length disc, In Time. Honestly, I was surprised by the depth of composition and talent here. Generally, most European prog metal is often power metal with a few slick time signature changes. And most American bands want to clone Dream Theater or, on the heavier side, Symphony X. Not that 7 Months is reinventing the wheel here. You can certainly hear the historic and present influences throughout In Time. Nevertheless, there's is a certain foundation and atmosphere of individuality permeating this work. Songs like Forever Again, Unspoken Words, and the quirky Fatal line display ambitious creativity over solid traditional prog foundation. In Time begins with some difficulty: the first three songs have the sophisticated complexity of great prog, but suffer from the lack of memorable accessibility. The exception may be I Just Wanna Die, but it's still a negative. 7 Months repeats the phrase 'I just wanna die' so many times to be depressingly morbid. Cripes, die already! The real meat begins with the instrumental Confessional Profusion and continues, mostly, to the end with the aforementioned Unspoken Words and the supreme, and signature song, Now or Never being the best tracks. Profound kudos go to the excellent production and to all performers, especially the versatile Danny Veras and fiery guitarist Christ Jacobson. 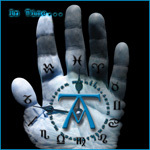 All in all, 7 Month's In Time is prime American progressive rock/metal which inspires and entertains with it's rich and fresh creativity and formidable musicianship. Quite recommended! All in all, 7 Month's In Time is prime American progressive rock/metal which inspires and entertains with it's rich and fresh creativity and formidable musicianship. Quite recommended!